Need gift giving ideas? I'm pretty partial to this list of books paired with related items and arranged by age group (tiny tots to teens!). With 105 book titles to choose from (non-fiction and fiction) there's bound to be something for the youngsters you know. Thanks to MotherReader for developing the list! I'm thinking Scaredy Squirrel with an emergency kit, nuts and a flying squirrel puppet, if such a thing exists. Some animals just seem happier at certain times of the year. Frogs seem to croak more on summer nights, birds frolick in spring sunshine and deers seem to love the moments inbetween night and day. The picture book If Frogs Made Weather by Marion Dane Bauer examines these animal preferences in simple beautiful text and illustrations. Each spread feature an animal at what weather one supposes they would select if they could. "If geese made weather, / leaves would flare / in the bright blue air. / Frost would tip the lawn. / And the sky would sigh / with the lonely cry of / 'Going. Going. Gone.' "
Perfect for preschoolers and grade schoolers alike, this is a great introduction to animals and their habitats. The art itself combines layered paper to create fantastic texture, something gradeschoolers could mimic in their own art. 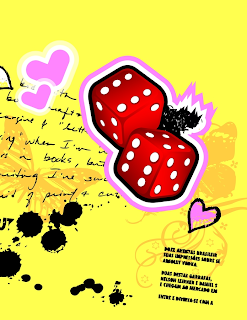 Awhile back I posted books by child author, Isabella Hatkoff. They are all stories about remarkable animals. I have run across other books about animals and their special relationships with humans, animals of their own species, or animals outside of their species. I think they're worth sharing. Like puzzles? Want to make your own? 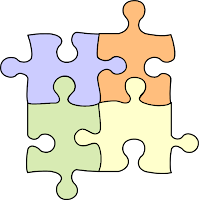 This Saturday from 1:30 to 2:30 in the Puett Room we will be making our own jigsaw puzzles. Come join the fun! Children who are learning to read still enjoy being read to. Picture books often include difficult "rare" words (ones not often used in conversation) which helps their vocabulary and comphrehension skills. Here are some picture books that are great for 1st through 3rd graders. The Hat by Jan Brett A young girl starts silliness when she airs out her woolen clothes for the winter. The Mysterious Tadpole by Steven Kellogg It doesn't take long for Louis to realize that he tadpole is not a frog. Trust Me, Mom! by Angela McAllister Ollie takes his first solo trip to the store, only to find out that his mom didn't warn him about ghosts, witches and aliens! 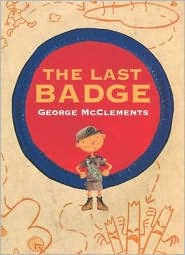 The Last Badge by George McClements Samuel has earned every badge exept one -- the Moon Frog Badge. Can he earn it and enter his families' book of Scouting Greatness? Scaredy Squirrel by Melanie Watts Squirrel is frightened of everything and never leaves his tree, until a fortunate accident has him trying out new things. Know others? Share in the comments. Calling all generations: Celebrate the American Library Association's National Gaming Day at the library on Friday, November 13. Grandparents grab your grandkids to mingle and play at the Library! Join us for Board Games, Bingo, Chess, Nintendo Wii, and swing dance and music. I love the simple picture book Where's Spot? by Eric Hill. Spot's father searches for him everywhere. With each lift-the-flap, he finds a different animal but not Spot. In addition to reading the words on a page, having a conversation about what you see and think is important as well. For example, "Spot's not under the rug. What is under the rug? What noise does he make?" If you see your child interested in something in particular on the page, focus your questions and answers on that. Even if your child doesn't answer, you can do so saying, "That's right. That is a snake, a green snake, hiding under the rug." This builds vocabulary and comprehension skills. Continue these skills by playing a game around your house. 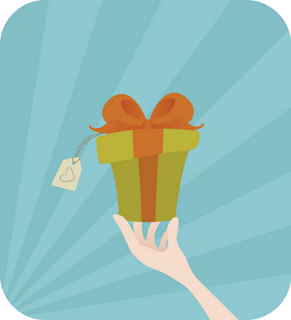 Pick an object familiar to the child and go on a search for it. Look for it under the sink, behind the sofa, in a cooking pot, under the bed, or wherever else. Wait for your little one's response and then answer them.